We want you to know that we care about your goals, so your roofing installation project in Bradford will be a success. One Job Only – It is critical that your new roofing installation is completed correctly. While other roofing companies might sacrifice quality by having multiple jobs at one time, we only work on one roofing installation project at a time, so you know you are getting our undivided attention. 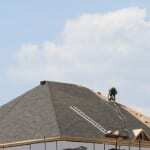 Trustworthy – At Slippery Slope Roofing, we work to earn your trust during roofing installation by using the highest quality materials and conducting surveys and interviews to ensure that we are providing the services you require. We want you to know that we care about your goals, so your roofing installation project will be a success. Protected – You’ll feel confident you have come to the right place because our team is fully insured, can help with WSIB claims, and we are an accredited business with the Better Business Bureau (BBB). You can count on us during the roofing installation process. At Slippery Slope Roofing, we know you’ll see the difference when you need help with your roofing project in Bradford, Ontario. Your satisfaction is our top priority! Contact us today to learn more about our roofing services. We look forward to hearing from you!